Deepika Padukone and Ranbir Kapoor from the sets of Tamasha. Ranbir Kapoor and Deepika Padukone from the sets of Corsica’s schedule of Tamasha. 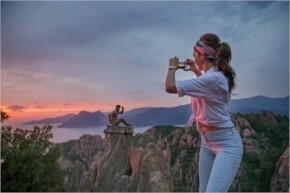 Deepika Padukone clicks a picture of Ranbir during the Tamasha shoot in Corsica.